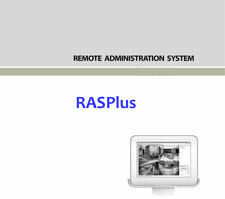 The Generic RASPlus version is for use with all ADT and former Tyco IS recorders, as well as all ATV branded recorders. This advanced remote management software controls all DVR system management, video monitoring, video recording and image playback of multiple remote sites. RASplus has many powerful tools that can be used to streamline your work. Most of the tools are located on 12 docking panels that can be placed on the screen where they are most convenient. You can keep your screen free of clutter by displaying only the panels you use most frequently. This remote software can be downloaded from the Systems Update page of the Support Center or click HERE. NOTE: The software included in this product contains some Open Sources. You may obtain the complete corresponding source code from us. See the Open Source Guide on the software CD (OpenSourceGuide\ OpenSourceGuide.pdf) or as a printed document included along with the User's Manual.